Ontario’s Southwest is home to some of the best hawk watching in North America and the fall is one of the best times to sight these amazing birds as they begin their migration south. Whether you join in the fun at a birding festival or event, interact with the experts at a bird banding station, or just take in the big sky views at our world-class conservation areas, you’ll be glad you made the trip. Holiday Beach is ranked as the top hawk watching site in Canada by Audubon Magazine, and the third best in all of North America. Each fall the Holiday Beach Migration Observatory pulls out all the stops for their annual Festival of Hawks. This year visitors can enjoy guided nature hikes, hawk identification workshops and informative sessions on how to use binoculars and field guides. There are also bird banding demonstrations, live bird displays and a Kids Zone which has nature crafts, water insects, and face-painting. Be sure to climb the Hawk Tower for prime viewing of winged creatures of all kinds. Join TTLT staff and volunteers for expertly guided tours of the 230-acre Hawk Cliff property. See diverse habitats of songbirds, plants, butterflies and the hawk migration. 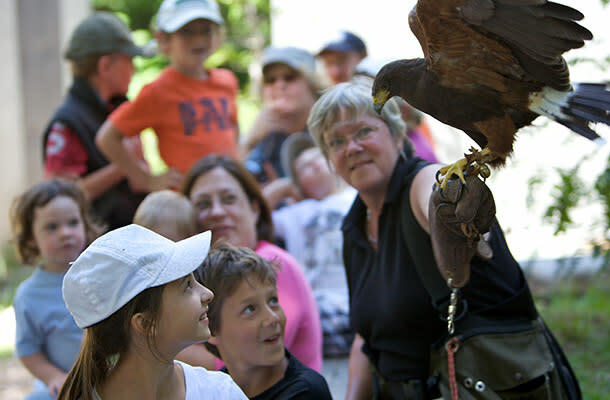 The Ruthven For The Birds Festival is a family-friendly event at Ruthven Park that offers visitors a chance to join in on the bird census, bird banding demonstrations, a bug walk, and much more. Hawk Cliff is recognized as one of the prime fall migration hawk watching destinations in North America and for good reason. 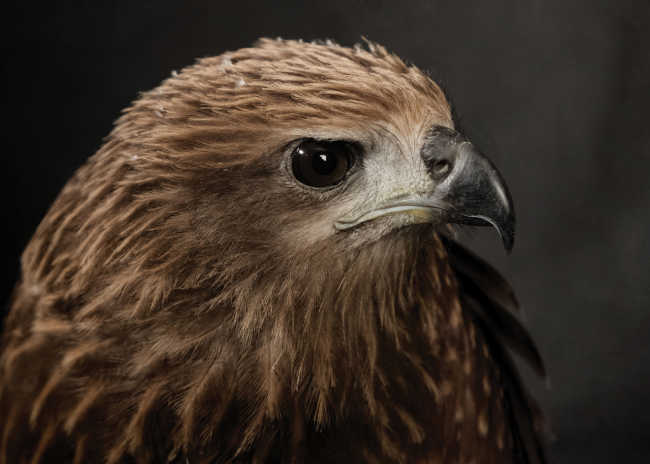 During peak volume, flights can reach as many as 60,000+ birds (or higher) in a day and during peak variety of species, all 15 of the usual Hawk Cliff raptor species can be viewed in a single day. If you can’t time your visit with one of the region’s fall birding events, there are still plenty of options for fall migration activities. The banding stations listed below offer a fascinating window into how birds are tracked during their winter travels. Banding involves placing a small numbered metal tag on the legs of birds so their movement can be tracked over their lifetime. While banding is being done visitors have the opportunity to see birds at a much closer range than is normally possible. Some 310 species have been spotted in Canada’s southernmost community and Fish Point Provincial Nature Reserve is a fall migration hotspot. While you’re there be sure to plan a visit to the Pelee Island Bird Observatory’s Research Station, which is open to visitors during the fall migration. This not-for-profit organization dedicated to bird conservation provides a habitat for a number of species on 32 acres that includes walking trails, an observation deck, interpretive displays and owl banding that visitors can observe. This epicentre for birding in Long Point attracts some 325 recorded species and features paths that take visitors to a number of mist nets, a visitor centre, and a banding lab. 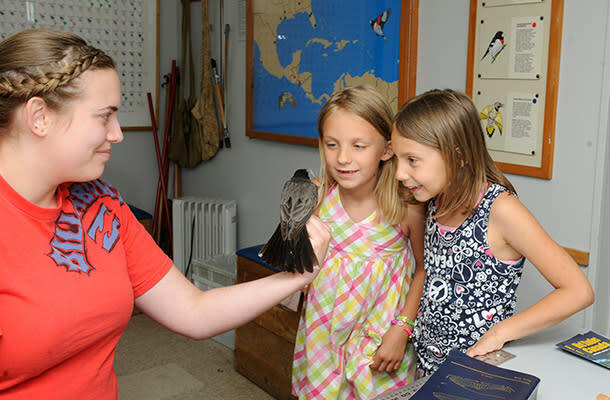 During migration, banding demonstrations occur from 9 am until noon daily, weather permitting. Located along an inland river corridor and set in Carolinian forest, Ruthven features over 10 stations with mist nets and a special banding lab that provides the opportunity to join expert banders as they record data. In the fall the banding station at this National Historic Site operates daily from early September to early November. Typically, migration monitoring and bird banding run from sunrise until about noon. Want even more inspiration for a fall birding getaway? Be sure to download a copy of our South Coast Birding Trail Map.